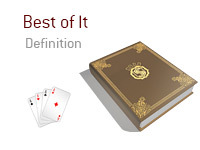 What does the term "best of it" mean in the world of poker? What is the definition of the term "best of it"? When you have the "best of it", that means that you currently have the best hand. You are sitting in your local casino, playing in a $1/$2 No Limit Hold'em game. Action folds around to you on the button. You look down at pocket Aces and put in a standard pre-flop raise. The SB folds, while the BB calls. The flop comes Ad-5h-6h. 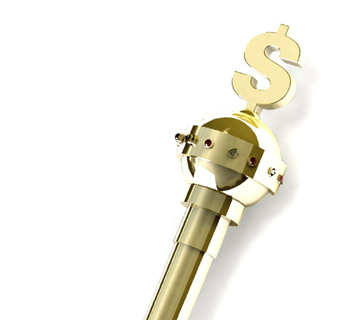 The BB checks, you bet, the BB raises, you re-raise, the BB pushes and you call. You turn over your Pocket Aces for a set, while your opponent flips over Qh-Jh for a flush draw. You have gotten in with the "best of it", as you currently have the best hand. While your opponent could certainly still win the hand, you currently are statistically favored to win.